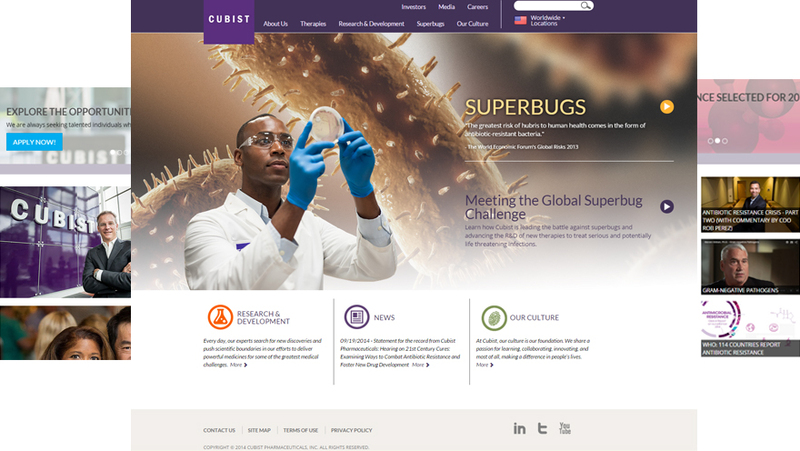 I joined Cubist in July of 2014 and the corporate communications group was mid-way through this project. The new Cubist corporate headquarters website was designed and intended to be a global website, showcase thought leadership, be local, relevant, compliant, with a differentiated and responsive design. The sites were designed, built and populated with a focus on research and development as well as Cubist’s role in the global fight against antibacterial resistance.